CD11c (integrin αX subunit, also known as leucocyte surface antigen p150, Axb2 and CR4) is a member of the integrin family. Like other leucocyte integrins (CD11a, CD11b, CD11d), CD11c is non-covalently associated with the β2 integrin subunit (CD18). 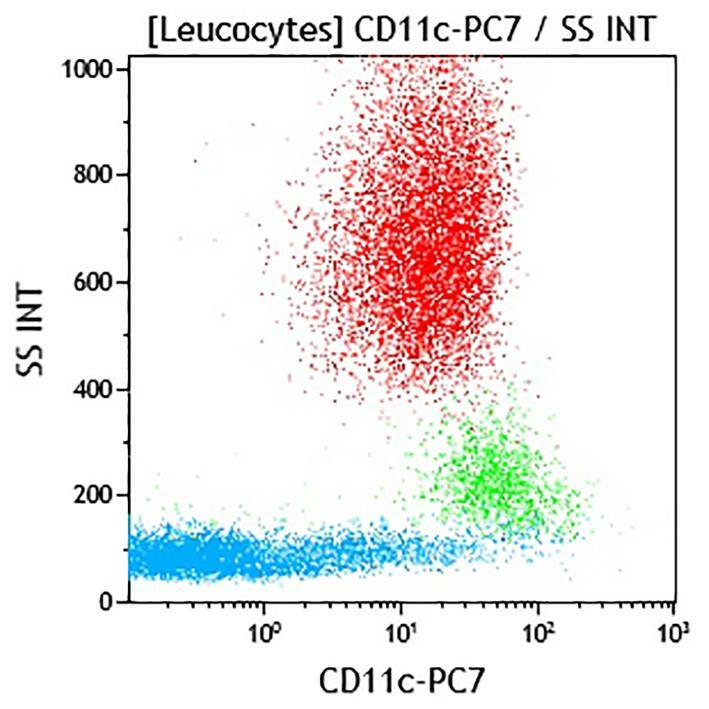 CD11c is a transmembrane glycoprotein of 145-150 kDa, mainly expressed by monocytes, macrophages and NK cells, and to a lesser extent by granulocytes, dendritic cells and some subsets of T and B cells. CD11c / CD18 has an important role in cytotoxic T cell killing, in the adhesion of monocytes and neutrophils to the endothelium and induces cellular activation. The CD11c is ∼87% homologous in sequence to CD11b, and recognizes similar ligands including complement factor fragment iC3b, fibrinogen, CD54 and bacterial lipopolysaccharide.